What first got you into makeup? I remember getting some money for my 16th birthday from a relative and asking my mother if I could buy some “real” makeup with it – at the time, I had an assortment of eyeshadow palettes from a cheap brand (BYS) that is stocked in some department stores in Australia, but didn’t have foundation, mascara, etc. So off we went to our local Kmart and purchased foundation (an Innoxa foundation in Buttermilk – far too dark for me! ), my first mascara (Maybelline Great Lash), an E.L.F. Essential Luscious Liquid Lipstick in Baby Lips and Pink Lemonade ’06, and a whole bunch of other goodies! Why did you start a makeup blog? I started a makeup blog because of my passion for makeup! I had always been interested in makeup, but started taking it a bit more seriously after I realised the huge world of beauty blogs! My mother also purchased Urban Decay’s Sustainable Shadow Box for me from an overseas trip last year, and I have been seriously hoarding makeup since then! 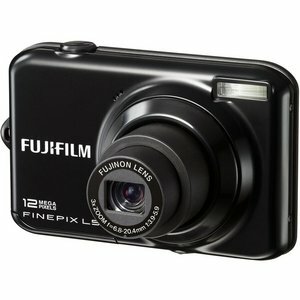 I am no photographer, so I use an average quality digital camera that I picked up on sale for $40 – Fujifilm Finepix L50 in black. As far as settings go, I just use the default settings! I edit my photos in The Gimp if I need to add text or re-size. Where do you purchase your makeup from? Because of the cost comparison between the USA and Australia for nearly all cosmetic brands, I buy most of my stuff off eBay (obviously unused and in the original packaging). I also purchase items from Priceline and Target.